Shakshuka is a traditional Israeli breakfast dish, which in the west we popularly know as baked eggs. 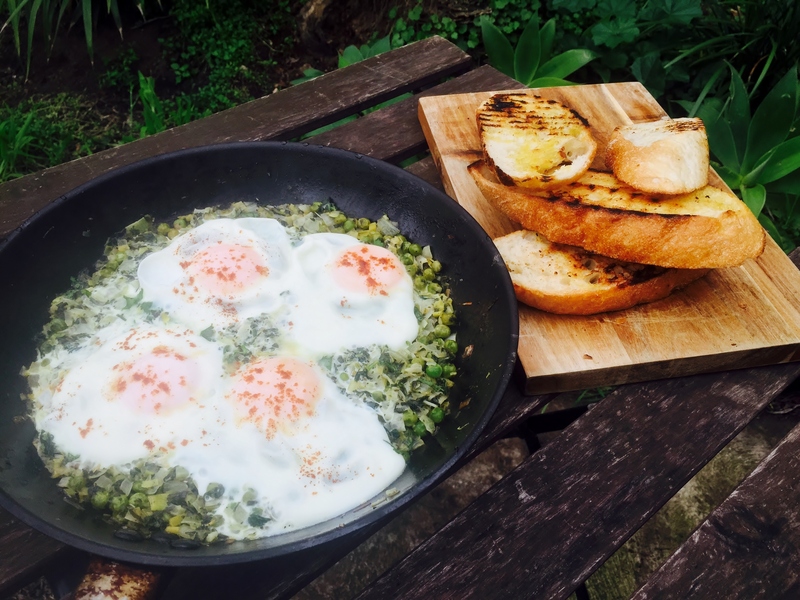 Gooey, runny eggs cooked in an utterly flavour packed tomato sauce full of herbs and spices, lets be honest what’s not to love about it! I have previously made a harissa spiced Shakshuka, you can find the recipe here. While traditionally a Shakshuka is always made in a tomato sauce, I decided to change things up a bit. Today’s Shakshuka recipe is an ode to a chilled winter morning where all your heart yearns for is a pan full of comfort, flavour and indulgence. 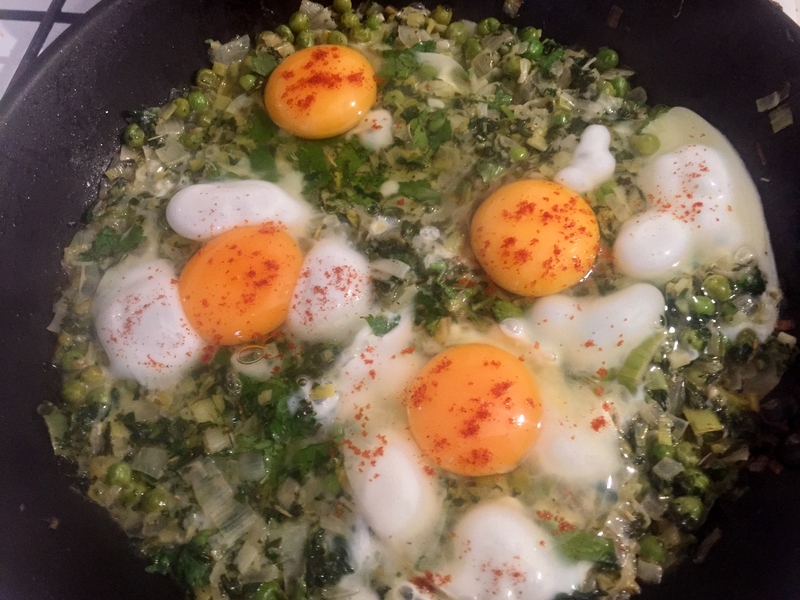 Butter, cream, leeks, peas and eggs these ingredients scream winter with a passion and you can most certainly guarantee that you are in for treat when these flavours combine together. In a skillet melt butter and add the chopped onion and leek. 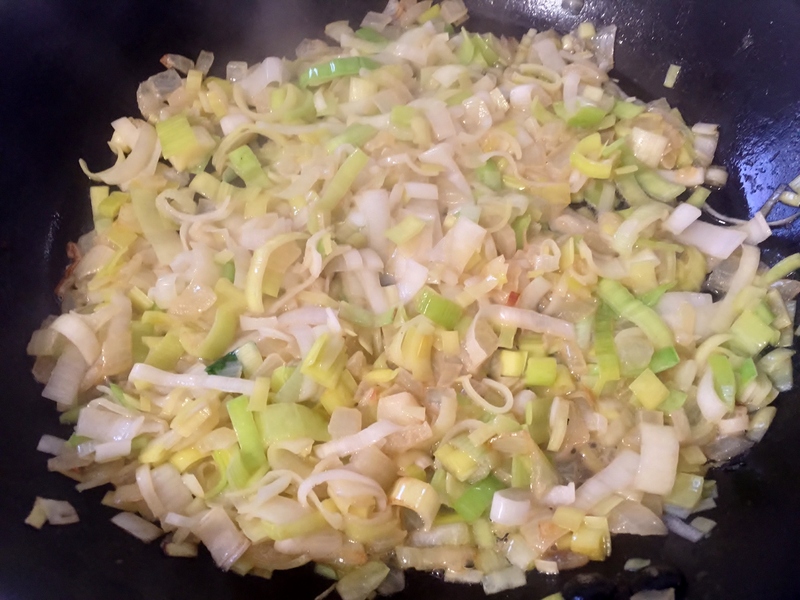 Cook until leeks are soft and aromatic. 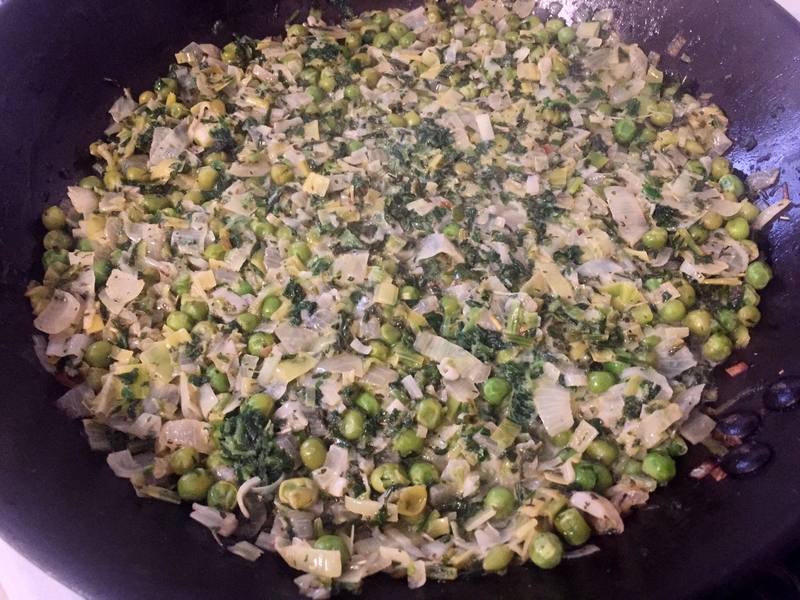 Now add peas, spinach, parsley and mint. Give all the ingredients a good stir, once they a mixed well add cooking cream and olive oil. Season with salt as required and let the sauce simmer on a low heat for five to seven minutes. Before cracking the eggs you can blend the ingredients into a smooth sauce, but since I love the different textures and prefer the sauce to be rustic, so I have not blended it. Crack the eggs into the sauce, leaving space between them. Lower the heat, cover the skillet with a lid and cook until the egg whites are cooked. The whole point of a Shakshuka is that the eggs should be runny, but if you don’t like runny eggs you can continue to cook the eggs until they are the consistency of soft-boiled eggs. Note, if you cook the eggs past this point you rather not make this dish at all because a hard-cooked egg is really not worth a Shakshuka. Lastly sprinkle some smoked paprika on each of the egg, this gives them a little extra flavour boost and makes them look really pretty too. You can serve this dish with warmed up Lebanese bread, chargrilled sourdough, Indian flat breads and if you are utterly health conscious then serve this dish with a simple green side salad. One bite will give you a taste of nirvana. 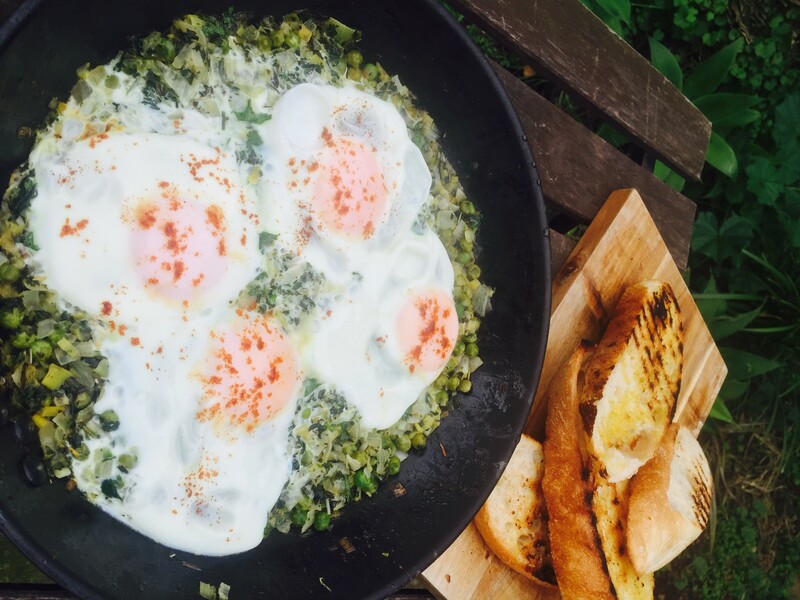 So don’t wait and try this recipe for your next weekend family brunch and remember to shake a leg or two with a Shakshuka.